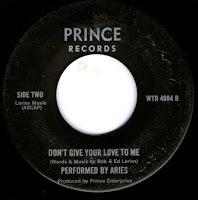 OK, first things first, I am sure the band was actually called Aries, but the “performed by” prefix adds a certain ring to it. Another hopelessly obscure one, probably from South California with what looks like 2 brothers being involved (Bob and Ed Lerias). 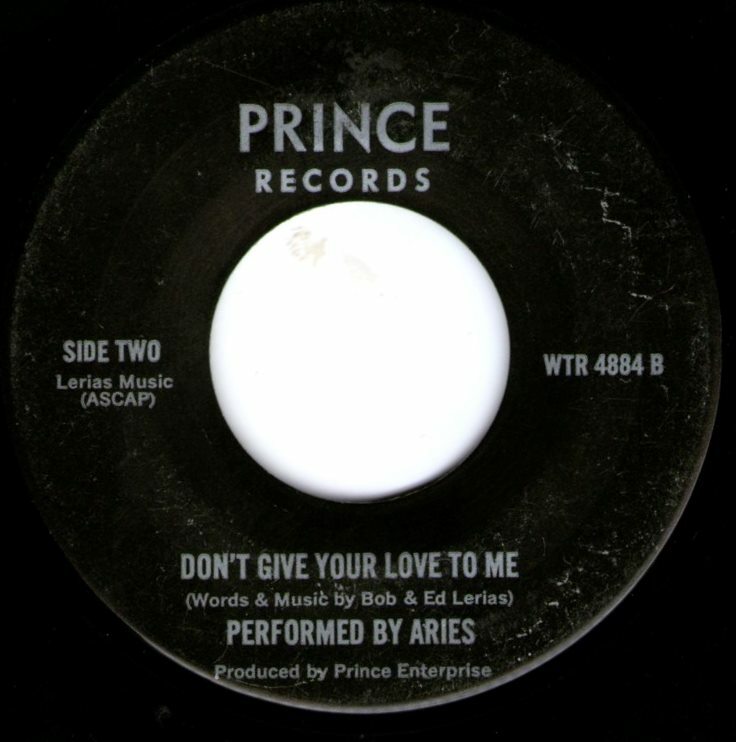 From the sound and effects it could have been recorded pretty much anytime between 1975 and 1982, however musically it is pure 1974 matching William Shakespeare with Elmer Goodbody Jr, whilst throwing in some 1979 –styled 20/20 moves. You want some more leftfield identifiers? Well think of Richmond’s Peaches (D’art) with some Dwight Twilley vocal inflections and slap back! 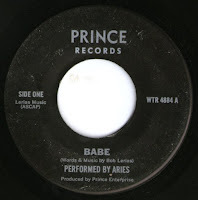 OK, before I get lost further in inane obtuse comparisons, let’s just say that both songs, take an obvious 50s slowie song structure and update the sound through smooth mid 70s Glam moves with a twist of powerpop sprinkled on top. Both performances are very listenable and damn catchy while being strangely haunting. Any information out there? 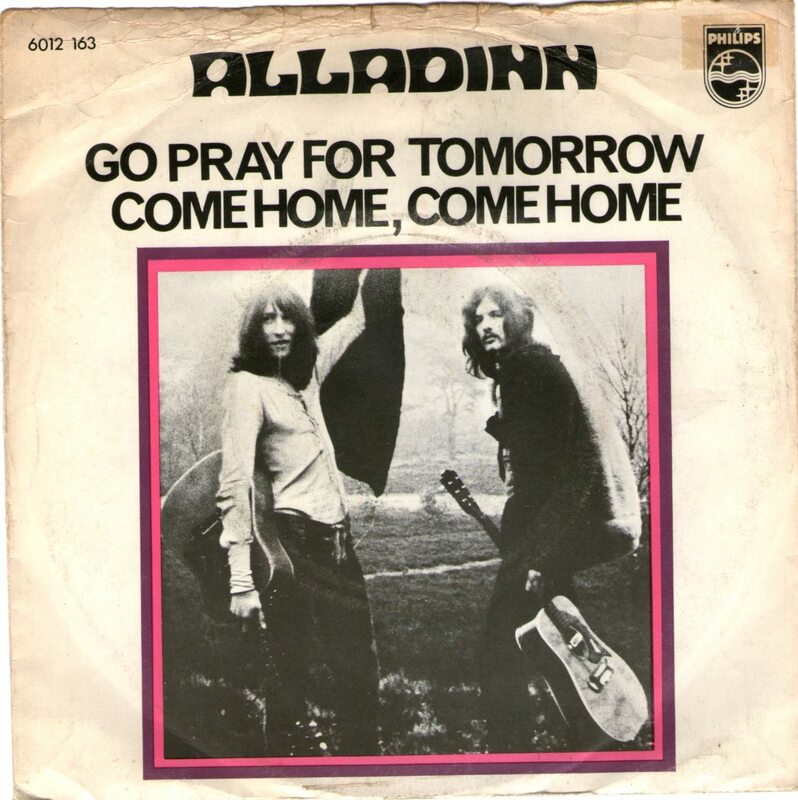 This being 1971, the A side Go Pray For Tomorrow is a type of My Sweet Lord revamp, nice feel and orchestration but this is not where this single is at in my opinion (although you could force a slight Dennis Wilson similarity, if you try very hard...). 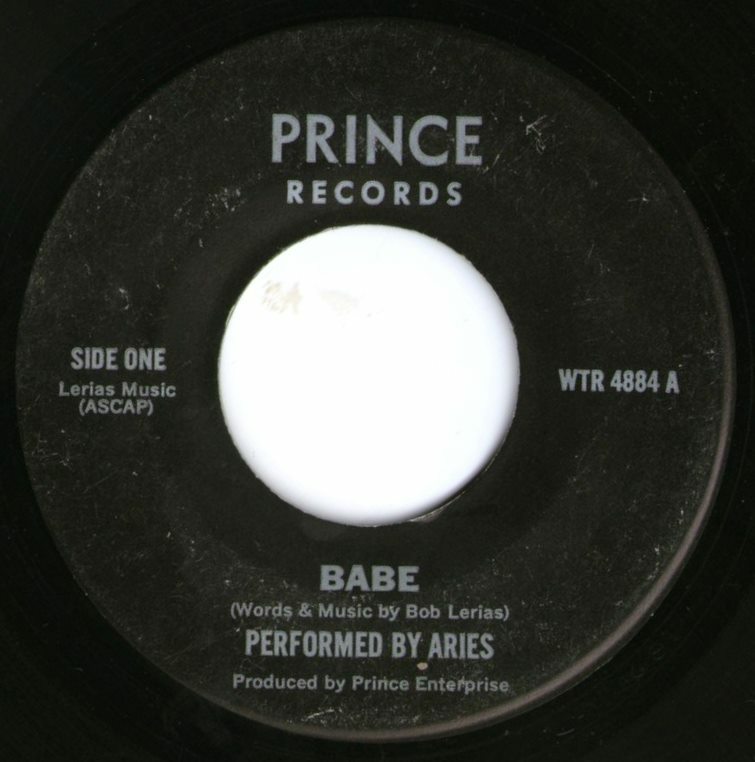 The B side on the other hand is much more interesting. 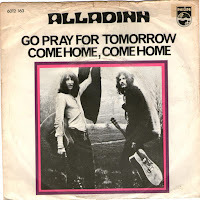 Come Home, Come Home is a smooth proto Glam groover with some delightful popsike interludes. Again Hans van Hemert excels himself for combining the T. Rex –like (Or Little Sammy Gaha?) strings, those psychy parts all consolidated together by the cowbell propelled beat. If anything the delivery and production reminds me of some of the material Paul Ryan ( e.g. Natural Gas or later Paul and Barry Ryan B sides) was attempting a couple of years later.